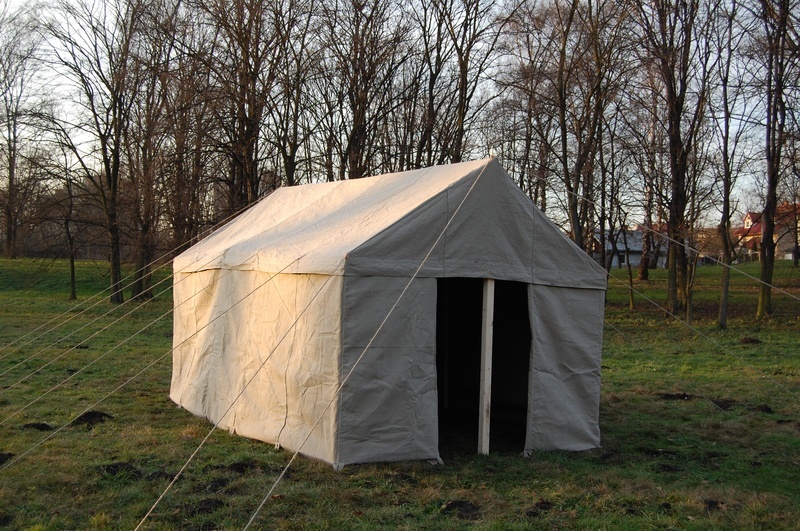 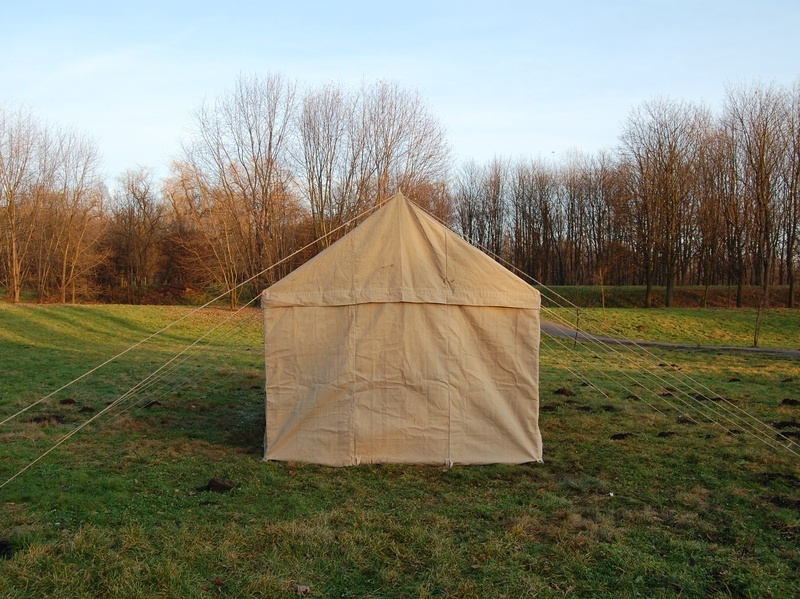 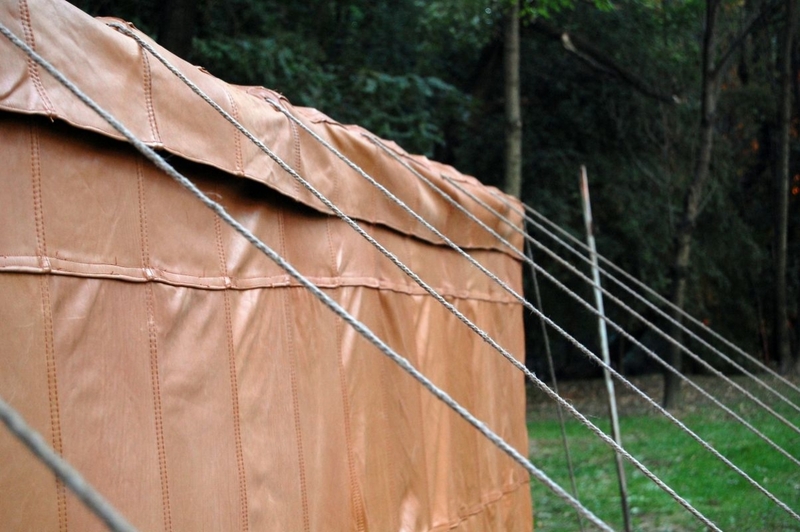 Roman tents were probably produced from goat skins. 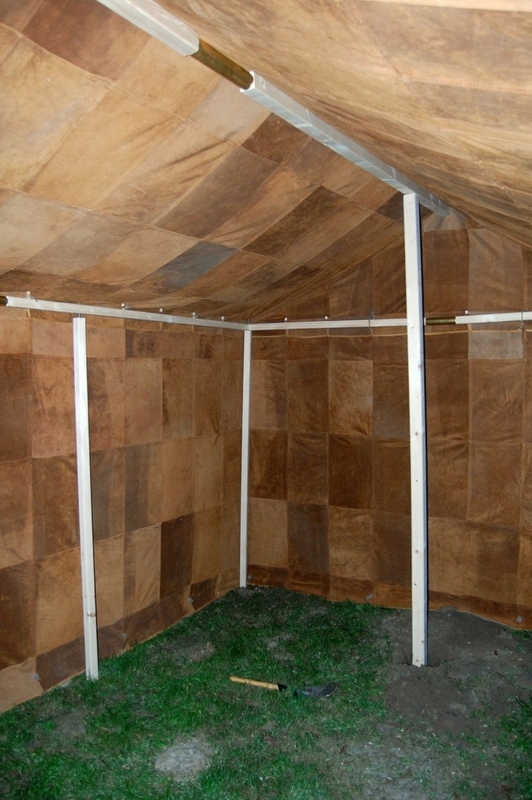 In the sources, one can see characteristic small square pieces of the skins, sewn together into one whole. 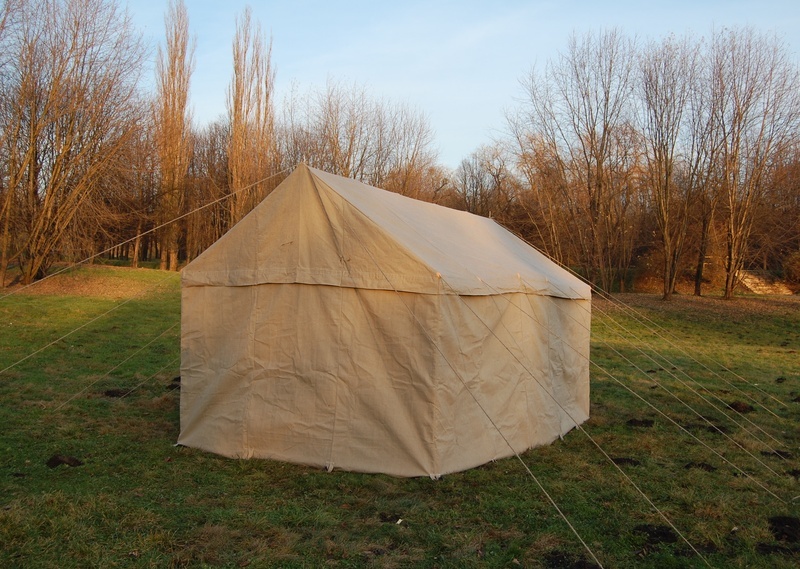 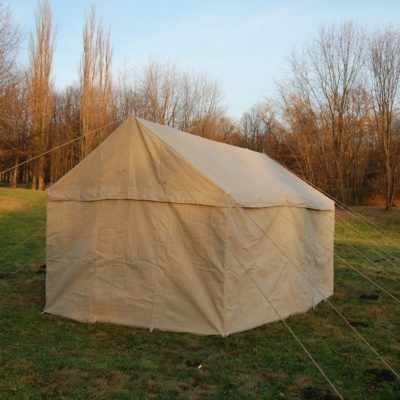 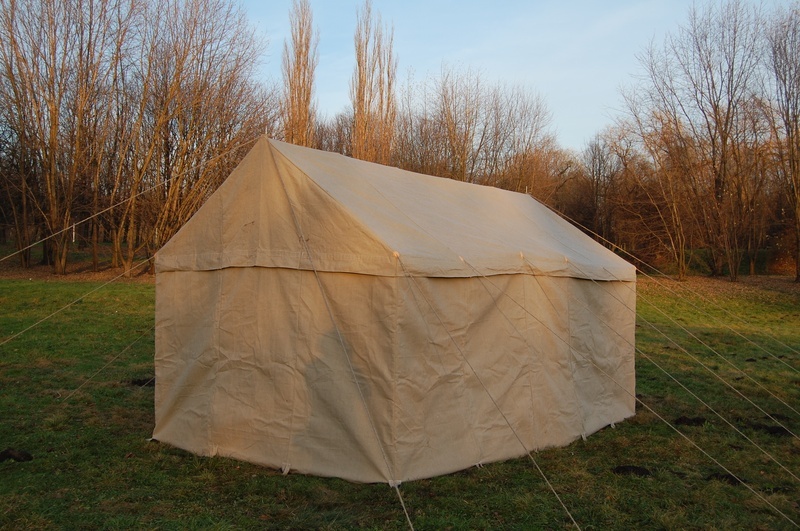 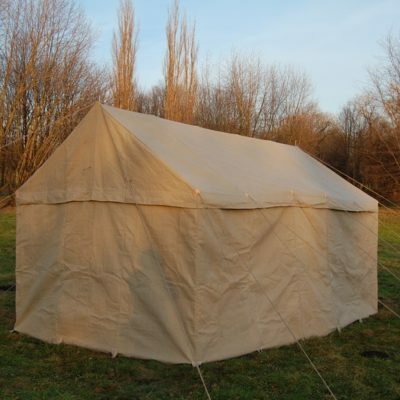 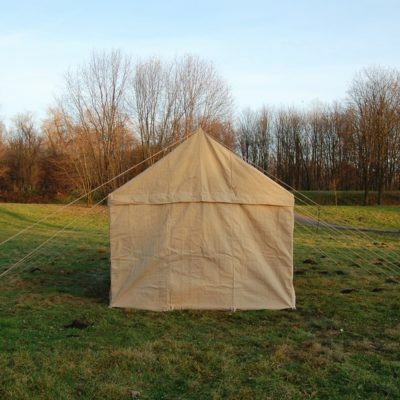 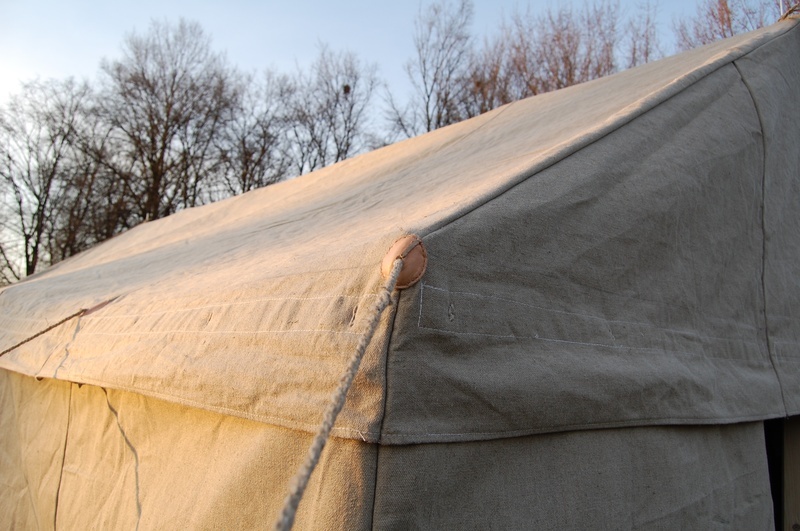 To less prosperous clients we offer tents stylized as roman, made of linen. 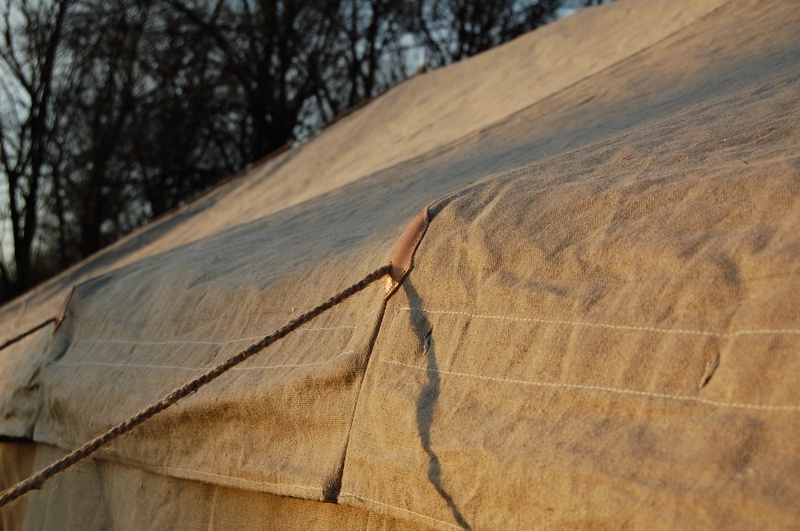 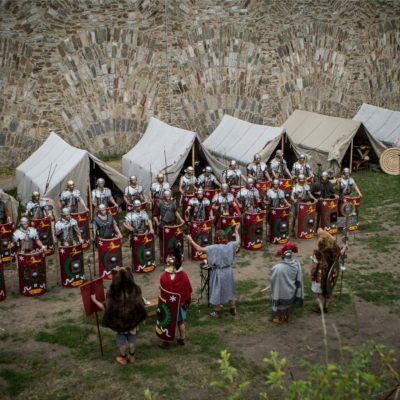 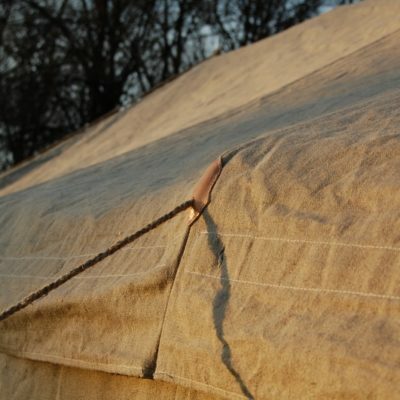 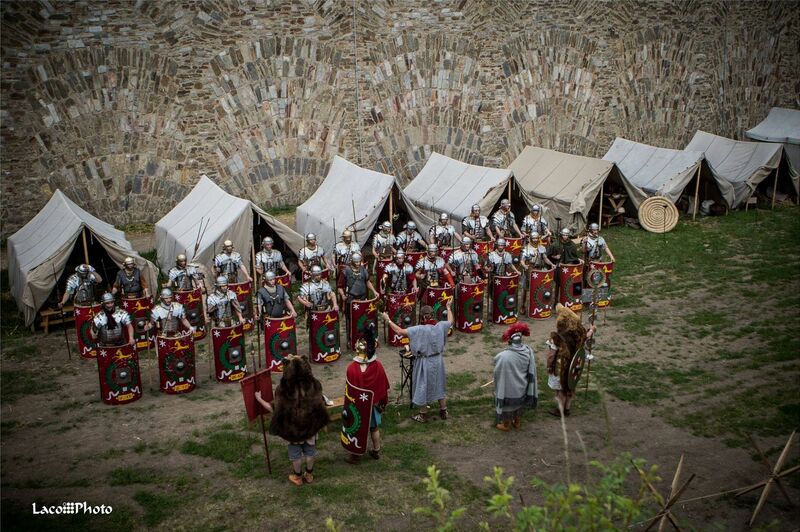 The use of this fabric in roman tents was probable, even though it is not confirmed in any sources. 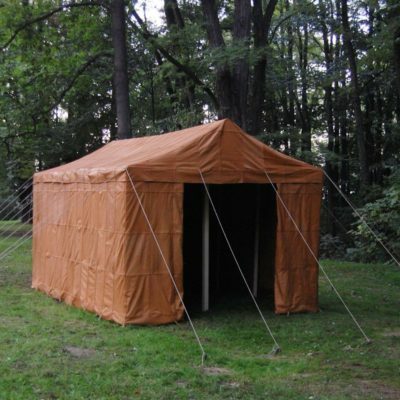 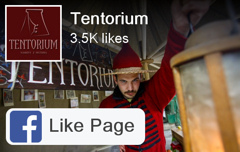 The Tent for a Centurion. 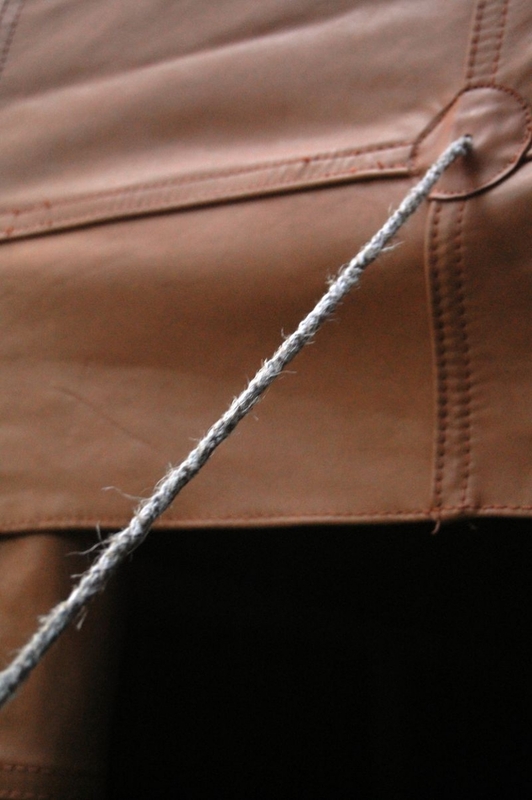 Made from natural linen, machine-made. 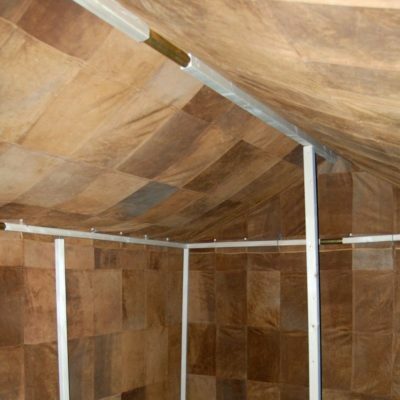 Straight, suspended walls. 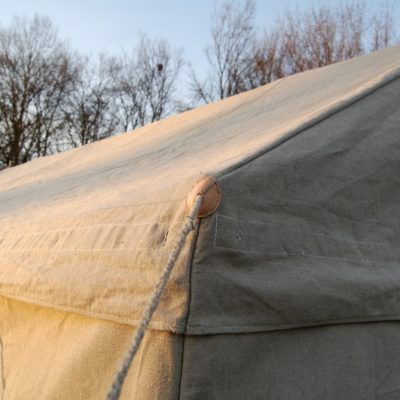 2 main masts and 8 mini-masts. 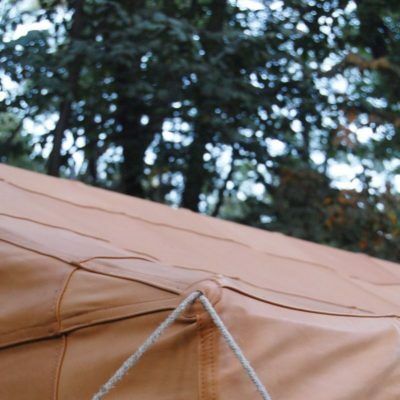 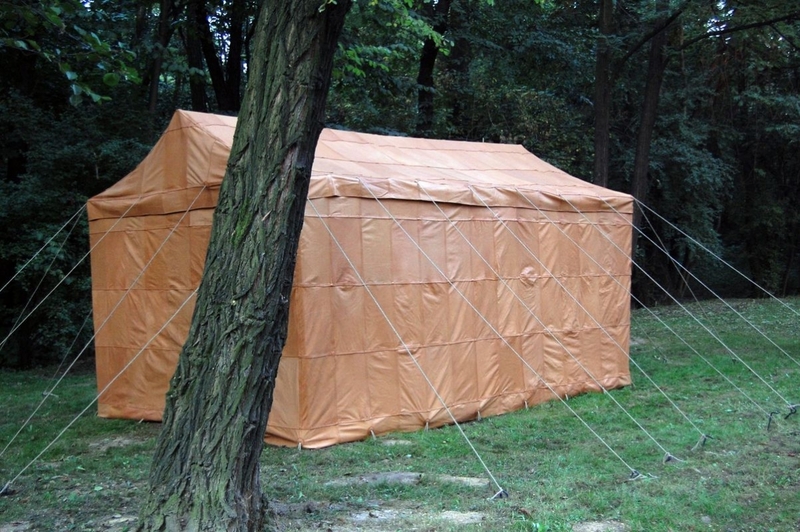 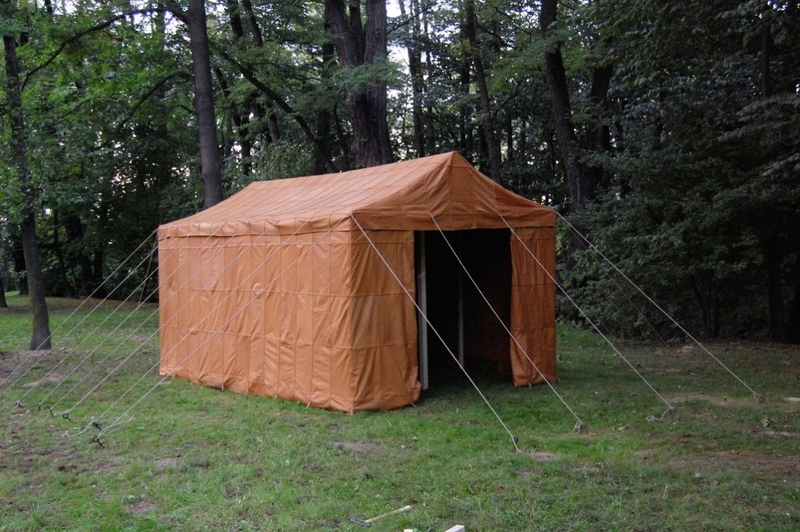 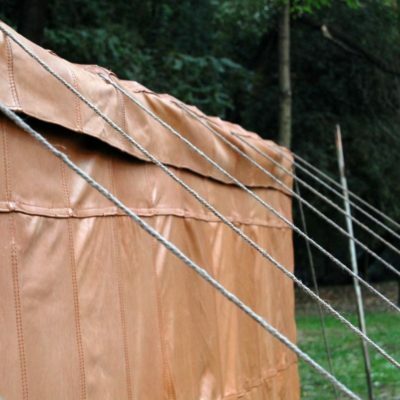 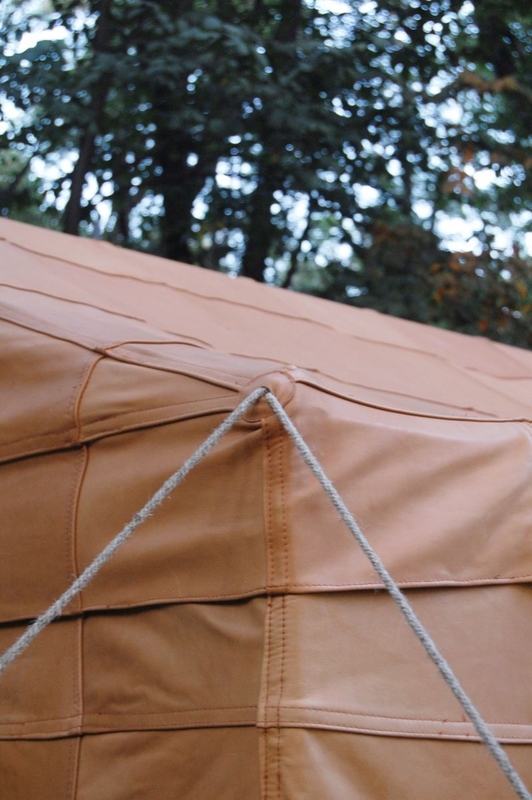 This historical tent is for 4-8 people. 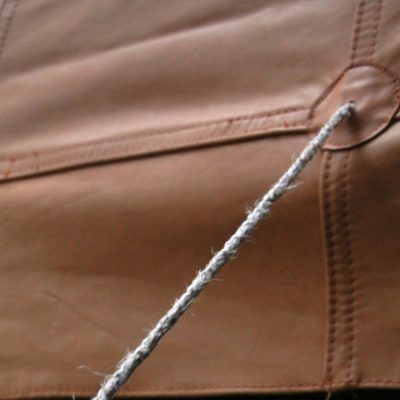 Made from impregnated linen, machine-made. 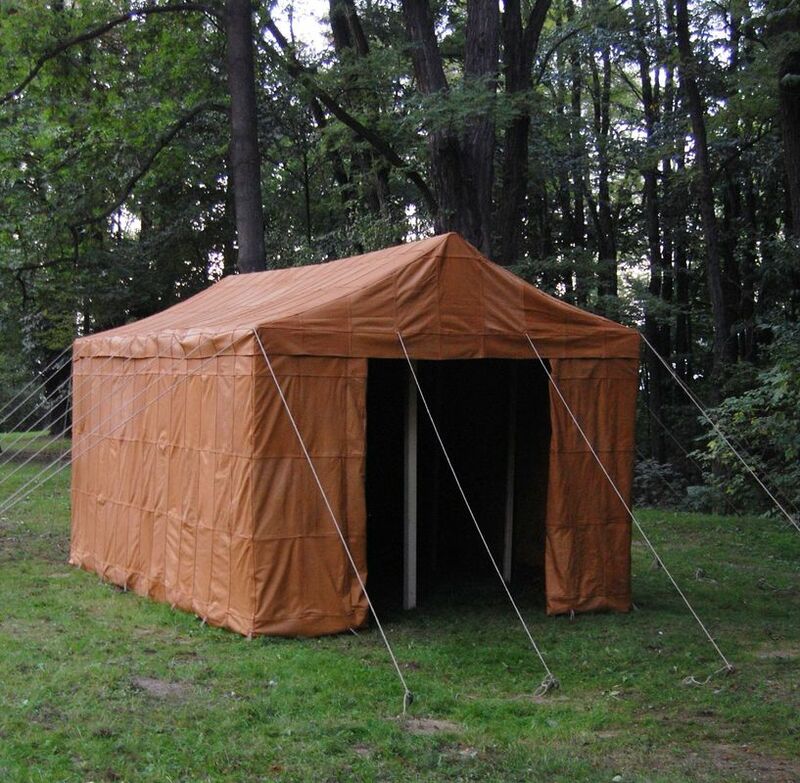 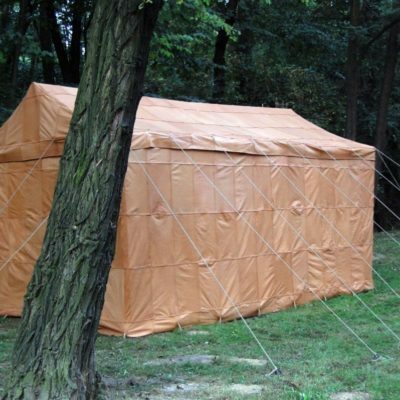 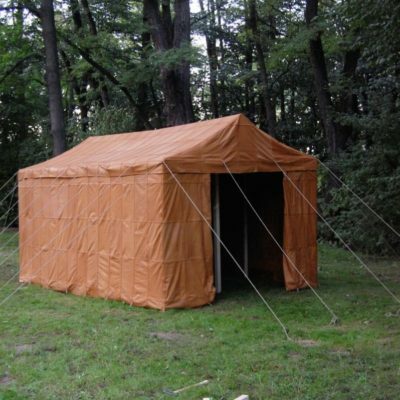 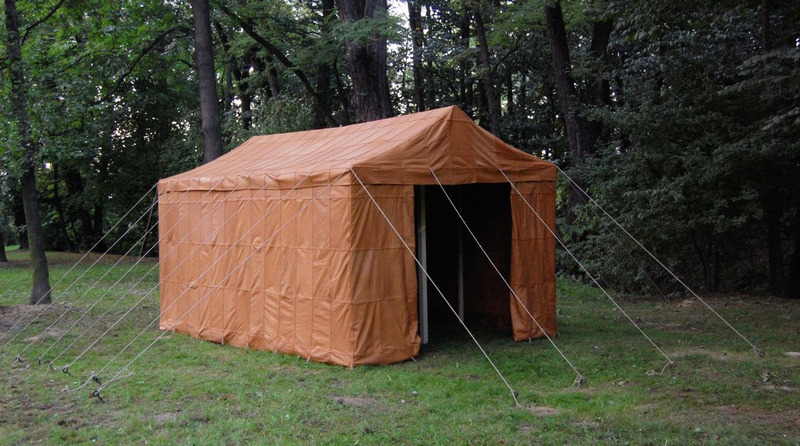 This historical tent is for 4-6 people. 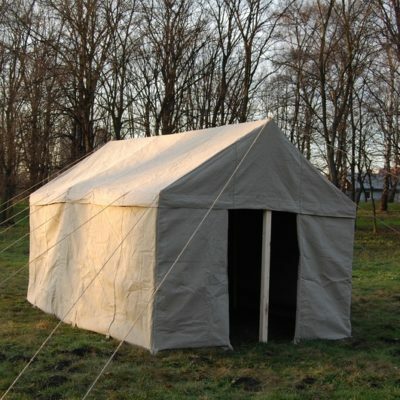 You can find PRICE LIST here.